25 Festive Holiday Marketing Ideas for Small Businesses - Mischa Communications, Inc. Mischa Communications, Inc. 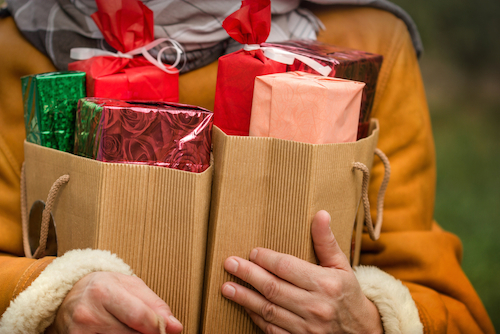 The holidays are just around the corner, which for you, small business owner, means it’s time to spread some cheer. A clever marketing campaign can make for a jolly holiday for your customers and your bottom line. So start planning for the most wonderful time of the year now, and put these creative marketing holiday marketing ideas to use at your small business. 1. Offer Black Friday deals for the entire month of November. Your customers will appreciate not having to be up before the turkey is cold in order to save. 2. Thank your customers. Post a video, image or audio clip on your social media pages or website that expresses your gratitude for your customers’ patronage. 3. Take a poll. Let your social media followers vote on their favorite Thanksgiving treat, and give them a coupon afterwards for their participation. 4. Give a shout out. Mention people you’re thankful for by name on your social media pages and encourage others to do the same. 5. Support a soup kitchen. Customers appreciate business owners who give back to their community. Donate to a local soup kitchen or volunteer. Also, get your staff involved and offer a day off or other special incentive to anyone who volunteers with you. 6. Offer free photos with Santa. Dress up your jolliest employee as the big man in red and invite customers to come to your store for a free picture. 7. Host a cookie-decorating event. Let the kids – and kids at heart – decorate some sweet treats. Just don’t forget the milk…and coffee! 8. Trim the tree. Invite your social media followers into your store to help decorate your small business’ Christmas tree. And make sure to have some snacks and drinks on hand to make the occasion merry. 9. Deck the halls…of your website. Wow your visitors with a holiday-themed website. Install a countdown to Christmas, embed YouTube videos of carols and share your favorite holiday recipes. 10. Host a house-decorating contest. Encourage your customers to post pictures of their home decorations on your social media pages and allow your fans to vote on the best. Send the winner a gift certificate to your small business or the local hardware store. 11. Send personalized greeting cards. Wish your customers the best for the holiday season and coming year with a custom card to display on their mantle. 12. Reward your best customers. They’ve given their hard earned cash to you all year – now it’s time to give something back. Whether it’s a gift card, cookies or discount on their next order, your small business’ customers will appreciate your gratitude. 13. Partner with a charity. Arrange to donate a percentage of a day’s sales to a charity and then encourage your customers to shop til they drop in the name of goodwill. 14. Hold Grinch shopping hours. Not everyone enjoys the hustle and bustle of the crowd. Once a week, open early or stay late so that your Grinch-iest customers have a quiet time to do their shopping. 15. Offer hot beverages. Baby, it’s cold out there! Give your customers something to warm their hands while they shop. Complimentary hot chocolate, tea and coffee will keep people warm and toasty… and browsing longer. 16. Provide free gift-wrapping. If the same item is for sale at two different shops but one will wrap it for you, which one would you go to? Enough said. 17. Bring in the music. Local school bands and choirs are always eager to perform and they generally pack the house with friends and relatives who want to watch them do their thing. And some of these attendees might just stay and purchase your fantastic wares! 18. Cater to the kids. Have a stash of (inexpensive) wrapped toys and gifts beneath the counter and hand them out to tiny tots at your discretion. 19. Participate in free shipping day. This year, free shipping day falls on Dec. 18 – just in time for Christmas Eve delivery. Add your small business to the list of participating retailers here. 20. Cater to last-minute shoppers. Have a selection of “emergency” gifts close to the register and do your best to get the late-comers taken care of and on their way as quickly as possible. 21. Discount your holiday merchandise. Get all those stuffed Santas and red nosed reindeer out of your stockroom by offering deep discounts after December 25. 22. Invite people to post their New Year’s resolutions. Regardless of whether they’re funny, inspiring or ambition, resolutions will draw traffic to your social media pages and website. 23. Roll Out Your new offerings. A new year is the time to give your customers something to look forward to! Give them a peak at what your small business has in store for the coming year. 24. Host a photo contest. Ask your social media followers to post about their most epic New Year’s Eve. The most Likes or favorites wins. 25. Recap your year. Post a message on you website and social media pages recapping what your small business has accomplished in the previous year and, most importantly, how instrumental your customers have been in getting you where you are now. Use one of or several of these tips to boost your small business’ sales and visibility this holiday season. And if you run out of ideas, we have plenty more up our green sleeves! Drop us a line, and we’ll help you develop an integrated holiday marketing campaign for your small business.